At Model Game Drone days and will be held some meetings and workshops that warm embrace issues related to supply chain professional users of unmanned aircraft in April Topics that will certainly affect those who are already undertaking a work in the world of drones, but also those who may, thanks to the economic crisis decide to embark and explore new avenues and opportunities. In the near future, 80% of civilian drones will fly on agricultural fields to improve the quality and quantity of crops. The drones will become a fundamental piece of precision agriculture: the robot planes flying over the fields and through special cameras create maps of plant health. Of these topics will speak Eng. 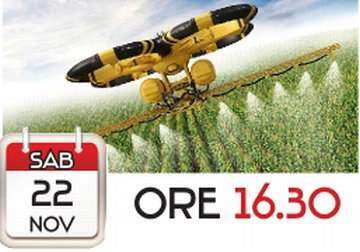 Andrea Sala, administrator Drover Srl, on the occasion of the conference “the drone farmer” to be held Saturday, November 22 at 16.30 at the exhibition halls of Bologna fairs at the Drone Days.